Are Efforts to Stop North Korean Missile Trade Futile? Despite UN sanctions and diplomatic efforts, North Korea continues to ship missile technology and systems. Panama recently confiscated a shipment of suspected weapons parts, believed to be an aging Soviet-era radar control system for surface-to-air missiles found aboard the North Korean-flagged Chong Chon Gang as it tried to enter the Panama Canal. Although the cargo was not a direct export of North Korean missiles – it apparently belongs to Cuba – it is a blatant violation of the 2006 UN Security Council sanction, which prohibits the North Korean arms trade except for small and light arms. North Korea is clearly willing to trade its missile technology for money. Missiles are a major source of revenue, something its failing economy desperately needs, a useful diplomatic negotiation card, a counter to U.S. might, and a symbol of its “strong and prosperous country” slogan, behind which its people might rally. It is therefore highly unlikely that Pyongyang will relinquish its missiles without significant assurance and compensation. Some have speculated that shipments of full North Korean missile systems have withered in recent years, particularly after four rounds of increasingly tough UN Security Council sanctions following its first nuclear test on October 9, 2006. Still, despite the sanctions, Pyongyang continues it efforts to export missiles, missile technology, and parts. 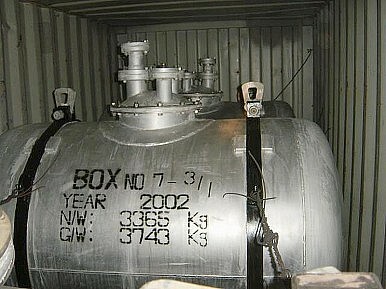 In May 2012, 445 North Korean-made graphite cylinders, which are used to produce ballistic missiles, were seized in Busan. They were en route to Syria. In December 2009, Thai Authorities confiscated 35 tons of conventional North Korean weapons, including surface-to-air missiles believed to be heading to Iran. In three separate incidents in 1999 and 2000, missile parts and components were found to be headed to Libya. The interdictions are positive news, but North Korean missile technology and weapons have still reached buyers, to the detriment of international stability. North Korea has exported weapons and technology to the Middle East – Iran and Syria. Iran has meanwhile supplied Hamas with Fajr-5 missile technology, which was fired deep into Israeli territory during the Operation Pillar of Defence (in November 2012). The most obvious concern would be missile transfers to terrorist organizations such as Al-Qaeda. What has the international community done in response? Well, it has the Missile Technology Control Regime (MTCR). The MTCR was created to prevent the proliferation of missile technology and unmanned aerial vehicles capable of carrying a 500 kg payload at least 300 km. But the MTCR does not regulate short-range missiles, and even if it detects the transfer of mid-to-long range missile technology or components, the exporter can claim they are for space application. Moreover, the MTCR is an informal and voluntary partnership among 34 countries. North Korea is not a member and that renders the organization rather helpless to prevent the proliferation of North Korean missile technology. Along with Syria and Iran, North Korea also opposed the draft Arms Trade Treaty in March 2013, which was a UN effort to regulate the sale of conventional weapons. North Korean opposition to the draft was a significant blow since it blocked the consensus needed for passage after years of arduous negotiations. But as the Panama incident underscores, Pyongyang is not even willing to comply with the UN Security Council’s sanction, the strongest diplomatic action that the international society can take. The U.S. has in the past tried direct negotiation. On October 24, 2000, the Secretary of State Madeleine Albright visited Pyongyang to meet with Kim Jong Il. They discussed North Korean missile technology exports, nuclear transparency, the normalization of relations, and a possible visit by President Bill Clinton. Apparently, the U.S. rejected North Korean demands, which included a compensation package of either 1 billion dollars in cash or the equivalent in goods and materials for an immediate stop to missile trading. There has been no significant breakthrough since then. In short, even though the proliferation of North Korean missiles is an obvious threat to international stability, efforts to stop Pyongyang from trying to continue the trade have not been successful. That is unlikely to change in the near future. A PLA publication helps explain China's priorities and strategy for the Korean Peninsula.